"Had such a great time! staff were friendly and professional! 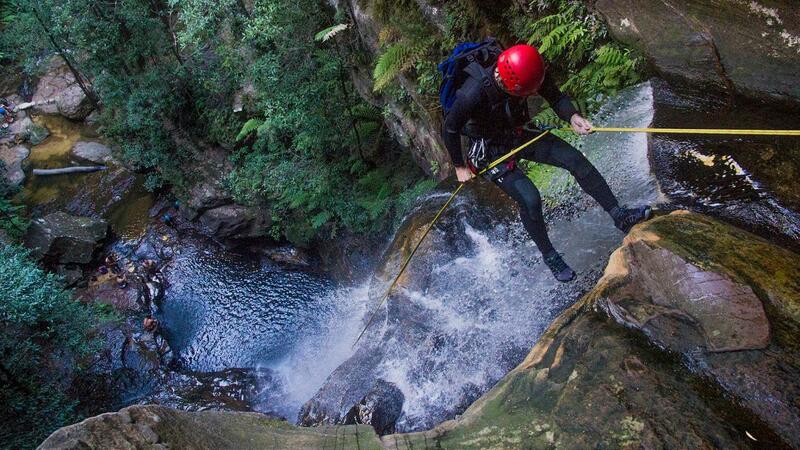 Absolutely loved the canyoning experience. Would definitely do it again and recommend it to everyone!" "Very enjoyable and FANTASTIC guides! Definitely would recommend!" 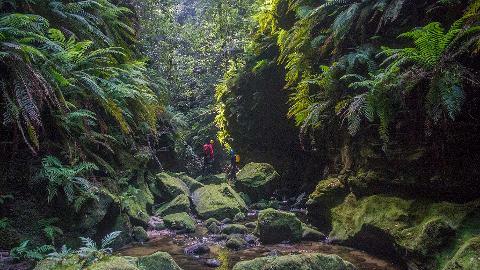 An awesome entry level abseiling and canyoning experience that's also an excellent introduction to Blue Mountains Canyons. 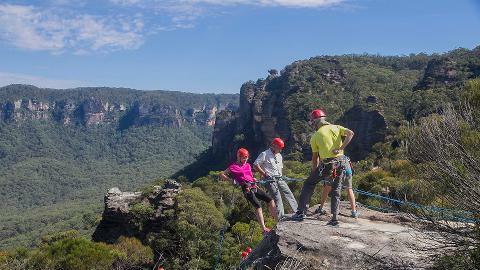 The first part of the day is focussed on acquiring abseiling skills, we start with several short practice abseils and then move up to some higher challenges, this introductory abseiling session is an exciting adventure in its own right! After lunch we'll test our new skills with a guided tour through Empress Canyon. 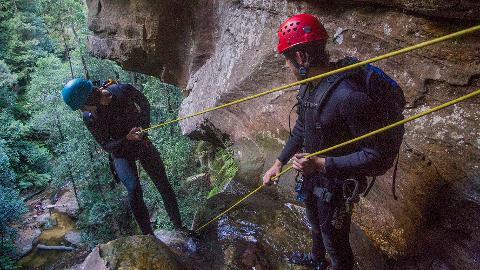 The journey takes us deep inside the sandstone cliff, wading, scrambling and jumping into pools! 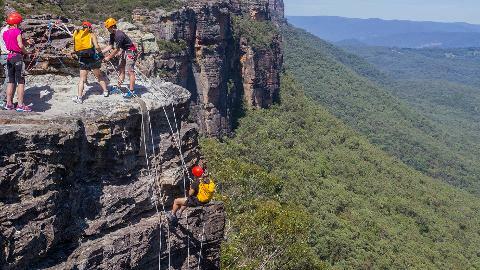 Once we discover daylight again we’ll need our abseiling skills for a spectacular 30 metre waterfall abseil to exit the canyon. We finish this amazing journey with a short scenic trek back to our starting point! 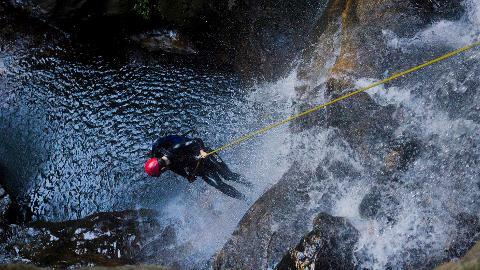 We provide all specialist personal and group abseiling and canyoning equipment including harnesses, helmets, wetsuits etc on all canyoning adventures and tours.